"I have a faith in language," said the poet W. S. Merwin. "It's the ultimate achievement that we as a species have evolved so far." Language is a deep ocean of living words, as varied as undersea life. It is a gift inherited by each person when he or she is born; it can be corrupted and regulated, but it cannot be owned. It is an enormous, complex, inexhaustible gift. The Soul of Creative Writing is a tribute to language and to its potentials. It explores the elements of language, style, rhythm, sound, and the choice of the right word. Richard Goodman paints an image of how language can produce a life and meaning that otherwise cannot exist in the symbols themselves.Goodman's stunningly creative collection was written after a lifetime of working and struggling with language. He collects rich examples from writers of the past and present, both great and small, and uses them to illustrate how each element of our written language can be used. The book begins with an analysis of words and how they can be used to create music on the page. Goodman uncovers the strength of words, writing about the shades of meaning that make the search for the exact word both arduous and immensely rewarding. He discusses how to find the proper title and how to find a fitting subject. He show how to create nonfiction work that is vivid and memorable through the use of the same techniques fiction writers employ.Goodman's volume is written with humor and clarity--with fascination and reverence. Writers will find it an indispensable source of creative inspiration and instruction. In Goodman's words, "reading is a tour of a writer's efforts at manipulating language to create art, to create flesh and blood and mountains, cities, homes, and gardens out of inky symbols on the page." 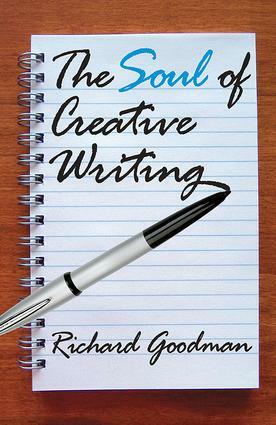 To literary critics, this book will be a guide to understanding the tools and devices of great writing.